Peter Stallybrass and the Penn Manuscript Collective are featured in Penn Today's article, "Walt Whitman Up Close." Stallybrass, emeritus professor of English, comparative literature, literary theory, and the humanities, and John Pollock, curator at the Penn Libraries, oversee the Manuscript Collective, a group of undergraduates who meet every other Friday to transcribe originals in the Kislak Center for Special Collections, Rare Books, and Manuscripts. 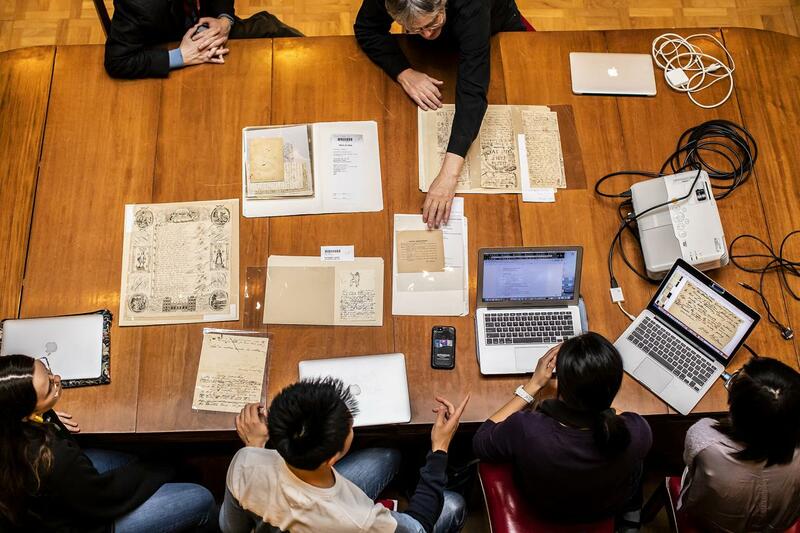 The group's current work deciphering the handwritten words of Whitman and his circle will be presented during a March 29-30 international symposium, Whitman at 200: Looking Back, Looking Forward, at the Penn Libraries, which holds a significant Whitman collection.